An educational program is challenging people to reflect on what they know about potlatches, the history of the potlatch ban and its cumulative impact on First Nations today. 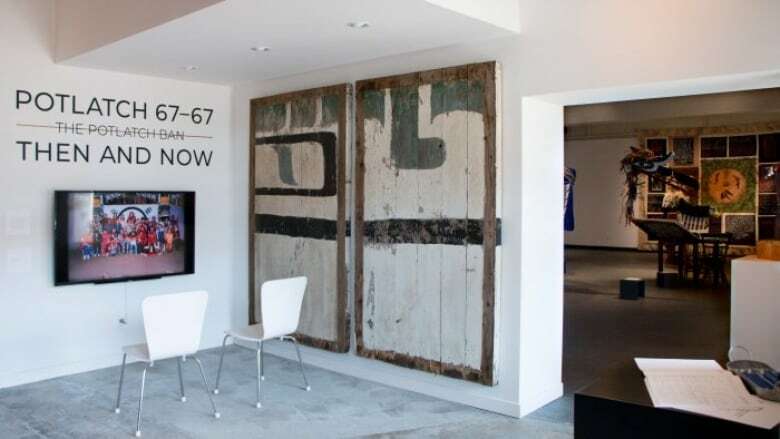 Potlatch 67-67: The Potlatch Ban Then and Now launched this summer at the Comox Valley Art Gallery on Vancouver Island, marking 67 years since the federal government lifted the ban that made it a criminal offence to participate in the feasting ceremony. Potlatches are held by many northwest coastal First Nations to mark a whole range of milestones, including naming ceremonies, weddings and funerals. The ban was in effect for 67 years, from 1884-1951. This same law made it illegal for Indigenous Peoples to participate in sundances and powwows. The purpose of the program and exhibit, as envisioned by Hereditary Chief Rob Everson of the Gigalgam Walas Kwaguł, is to educate people about how the ban, along with other policies like the residential school system, contributed to what the Truth and Reconciliation Commission called cultural genocide. Everson said he hopes that when people learn more about the ban they will gain a deeper appreciation of the resilience of First Nations peoples in seeing how they've been able to preserve their culture and language despite the concerted attempts to assimilate them. 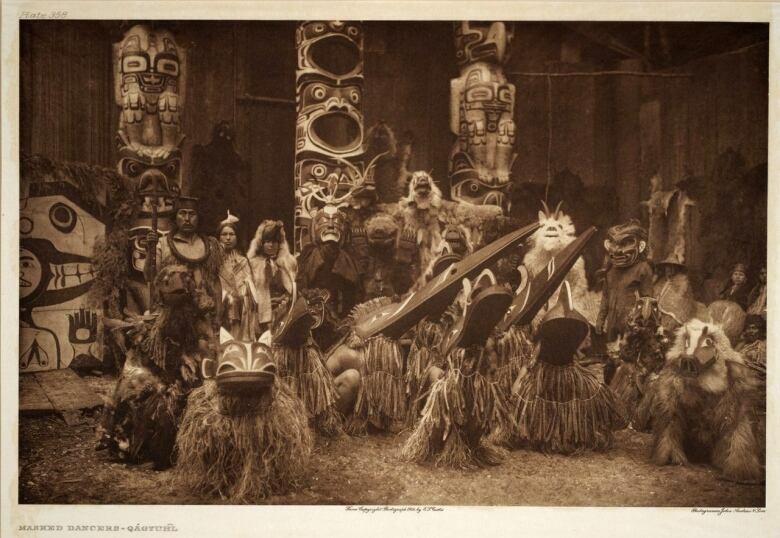 Despite the ban, potlatching was still practised by many First Nations people in secret. "I think that most people don't understand that there was actually a potlatch ban," Everson said in an interview with CBC Radio's North by Northwest. He said this lack of knowledge in the general public became increasingly evident when the exhibit opened in July and they started talking with the people who were visiting. "And even if they... heard there was a ban, they really didn't understand what the potlatch ban meant to the Indigenous population and how that negative impact continues to rear its ugly head today in society," he said. The full education program of Potlatch 67-67 includes public events and an artistic exhibit at the Comox Valley Art Gallery titled Hiłt̕sist̕a'a̱m (The Copper Will Be Fixed) with pieces from more than a dozen Indigenous artists. Pieces in the gallery range from undanced regalia to interactive installations — including a kitchen table setting meant to recreate the types of spaces where people held potlatches in secret to avoid detection from police and Indian Agents. 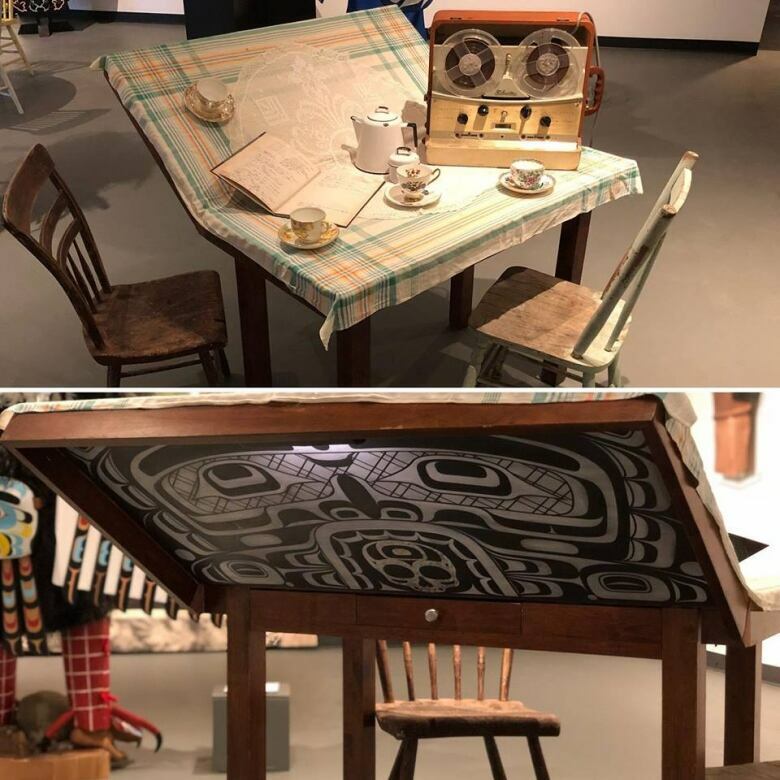 "To the casual observer, it may look like a typical tea party, but for our people it was a critical way to keep our culture alive under the oppressive watch of the Canadian government," wrote artist Andy Everson in his statement about his installation. The gallery space has been visited by dozens of classroom groups since school started this fall. Shawn Holland, a high school teacher in Comox, took his English class to the gallery for a guided tour earlier this week. "It carries much more power than what I can deliver from my notes or what I've read," he said. Holland said while most of the teens in his class are non-Indigenous, the First Nations students in his class said they appreciated seeing their classmates taking an interest in their culture. After the gallery trip and back in the classroom he said the group had a discussion about what they learned. "[They talked about] the resilience of the First Nations, having gone through all of this and still being able to maintain what they have of their culture," he said. He said some students were sad to learn about this part of Canadian history and others expressed confusion because they see the country as a strong promoter of multiculturalism. Potlatch 67-67 will close on Oct. 4. A public dialogue event will be held at the gallery on Sept. 30.